and an Afterword by Regina Barreca This edition includes an early Hawthorne story that contains the germ of The Scarlet Letter. Nathaniel Hawthorne was born on July 4, 1804, in Salem, Massachusetts, the son and grandson of proud New England seafarers. He lived in genteel poverty with his widowed mother and two young sisters in a house filled with Puritan ideals and family pride in a prosperous past. His boyhood was, in most respects, pleasant and normal. In 1825 he was graduated from Bowdoin College, Brunswick, Maine, and he returned to Salem determined to become a writer of short stories. For the next twelve years he was plagued with unhappiness and self-doubts as he struggled to master his craft. He finally secured some small measure of success with the publication of his Twice-Told Tales (1837). His marriage to Sophia Peabody in 1842 was a happy one. 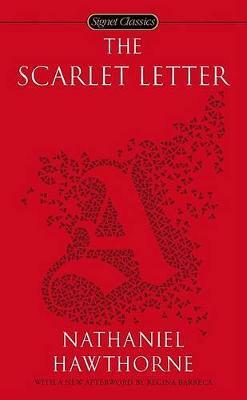 The Scarlet Letter (1850), which brought him immediate recognition, was followed by The House of the Seven Gables (1851). After serving four years as the American Consul in Liverpool, England, he traveled in Italy; he returned home to Massachusetts in 1860. Depressed, weary of writing, and failing in health, he died on May 19, 1864, at Plymouth, New Hampshire. Brenda Wineapple was formerly the Washington Irving Professor of Modern Literary and Historical Studies at Union College and now teaches in the MFA programs at Columbia University and The New School. Her books include White Heat: The Friendship of Emily Dickinson and Thomas Wentworth Higginson, Hawthorne: A Life (winner of the Ambassador Award of the English-Speaking Union for Best Biography of 2003), Sister Brother: Gertrude & Leo Stein, and Genèt: A Biography of Janet Flanner. Regina Barreca, a professor of English and Feminist Theory at the Unniversity of Connecticut, is the editor of the influential journal LIT: Literature, Interpretation, Theory. Among her many books are They Used to Call Me Snow White...But I Drifted, a widely acclaimed study of women's humor, and Perfect Husbands (& Other Fairy Tales). She is also the editor of the Penguin Book of Women's Humor.